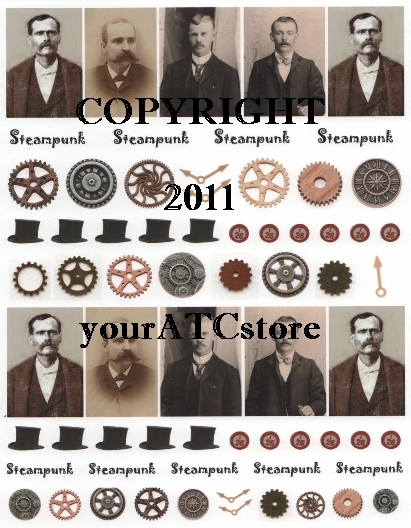 yourATCstore ATC Steampunk Guys Collage Sheet with gears and more - everything you need to create some Steampunk ATCs. These images were taken from the August ATC kit of the month titled, "Steampunk". This collage sheet will be fun to cut apart and create some Steampunk Artist Trading Cards. This matte finish collage sheet is professionally printed and comes in a crystal clear bag for protection. 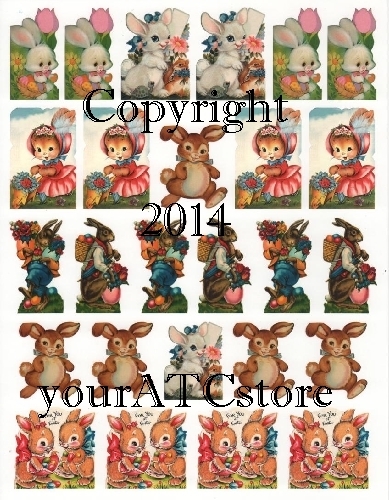 Each collage sheet measures 8 1/2" X 11" and is acid free.